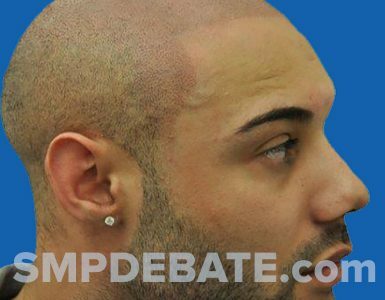 Once upon a time, and we only mean a decade ago, getting a good SMP to deal with your hair loss would mean getting on a plane. That is unless you happened to live within reach of one of the pioneering clinics that were delivering Scalp Micropigmentation back then. Given that you could count them on your thumbs that was statistically unlikely. Even as recently as 5 years ago most of the familiar names we know today were not in existence, though some of the practitioners who were later to set up shop on their own were already building their experience working within the nascent industry. The story, since the start of this decade, has been one of phenomenal growth. Initially sparked by some of those practitioners setting up their own clinics the service starting to appear in new cities, the results being achieved would soon be picked up by copycats. Some came to the existing clinics for training at a time when the established clinics were introducing the idea of becoming qualified through a course of education with them, this would invariably involve the ongoing supply of the bespoke pigments and equipment (usually more generic) to their trainees… along with technical support as they learned their craft “on the job” so to speak. There was another significant set of newcomers who jumped on the SMP bandwagon, these were either notionally qualified through experience in semi permanent make-up or traditional tattooing, along with some have-a-go heroes who thought there might be easy money to be had in a service that required no official qualifications to set up. Fast forward to 2017 and we are beginning to see the signs of a maturing industry. One with plenty of choice of clinic in hundreds of cities, the majority are clustered in the UK where Scalp Micropigmentation was developed and in the USA… where incredible growth has been achieved. But make no mistake, SMP is now available now on every continent. We have a selection of larger multi-clinic operations, some are even international. Alongside those are plenty of excellent one man clinics. 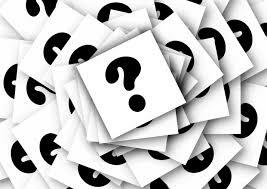 The big question then has become, with all that choice, how do you identify the wheat from the chaff? There are a couple of handy hints we can offer to help. You will of course want to check the basics, price matters for example, so you need to understand exactly what you are getting for your money. What guarantees are provided in terms of the outcome, and particularly in regards to whether you need to pay extra for additional sessions. Bear in mind that for a handful of clients fading can mean 4 or 5 sessions might be required to complete. We always think it is a good idea to use the Google Wayback engine to find out how old a clinic’s website has been around… obviously you would rather be dealing with a clinic that has been treating people for years than one who only opened recently. Though that needs to be supported with details of the experience of the practitoner, the clinic might have been opened last week by someone who has been working at a major clinic for years. Equally, the established clinic might have someone who just popped out of training… though to be fair, in my experience the major clinics only send practitioners out from their training bases when they are fully ready to go. The positive message we would want to get across is that a great SMP is almost certainly closer than you think. 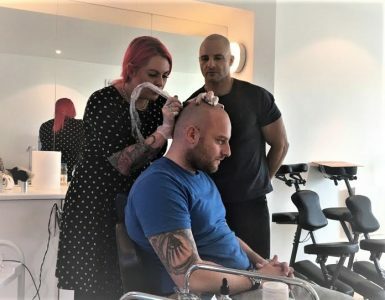 We would urge you to start your due diligence close to home, if you can find a good Scalp Micropigmentation clinic in your city it is preferable to traveling further afield to find one. We are not suggesting for one moment that you should “settle”, but if there is an experienced practitioner doing good work locally that should be your choice. The need for additional sessions is incalculable before treatment has begun. So your commitment to the remote SMP clinic could become onerous even at the beginning. But then there are questions around future touch ups, or style choice changes. You would be compelled to return to that remote clinic for consistency in the pigments used if not for the practitioner. We repeat that this is only true where the local SMP provider ticks all the boxes in terms of experience and their after-care proposition.